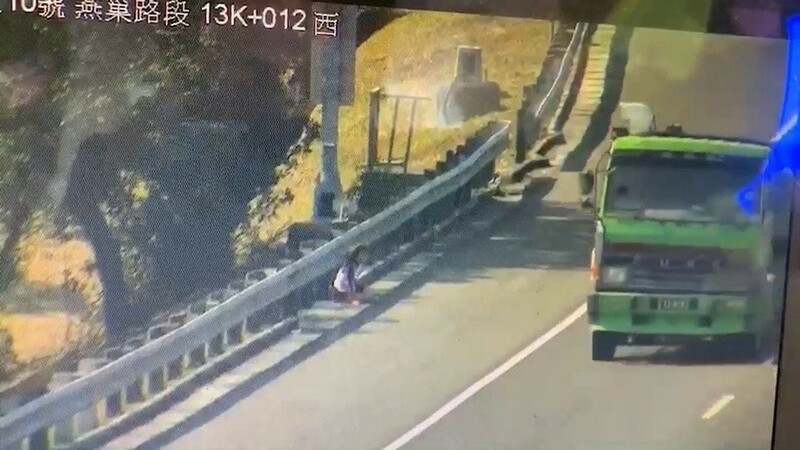 TAIPEI (Taiwan News) -- A woman in Kaohsiung City leaped from a moving car yesterday on a highway after her husband stabbed her seven times Monday morning (Jan. 28). As she was being treated, Sun said that a dispute with her husband had led to the stabbing. Just as police were beginning to try to track down Liu's car, he arrived with his son at the Kaohsiung City Police Department Cishan Precinct, where he surrendered to police at 11 a.m., according to the report. When police began an investigation, Liu behaved erratically and they found blood stains inside Liu's car. National Highway Police then took Liu in for further questioning. According to the initial investigation, Liu worked as a cement worker before having a minor stroke a year ago. After the stroke, he was unable to work and had become depressed. Liu and Sun each had a son and a daughter from previous marriages, with the eldest daughter now 18 years old. Together, the couple has a four-year-old daughter in addition to the two-year-old son. Recently, Sun had been returning home late, causing Liu to become suspicious and the couple often argued over her late hours. On the morning of the incident, the couple began to argue over "emotional issues" and Liu used both an iron bar and a fruit knife to attack Sun, according to Apple Daily. It is believed that the couple's young son was not able to fully comprehend what had transpired and was said to be calling for his mother. The Kaohsiung Social Affairs Bureau has temporarily taken the boy in to care for him.